IMA Ball, the glittering and the most-awaited social event of the gentlemen cadets of passing out contingent belonging to Autumn Term- 2018, was held at Indian Military Academy on Saturday. 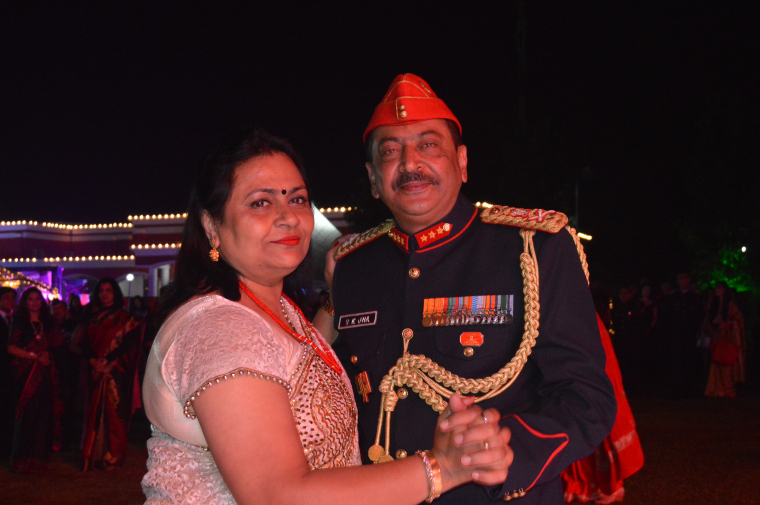 The evening of joy, merriment and nostalgia started when the Commandant IMA, Lieutenant General SK Jha set the ball rolling. As per the tradition of the academy, selection of Mister IMA and Miss IMA was held on the occasion in which the Gentleman Cadets (GC) and lady guests participated enthusiastically. Kanika Paruthi was adjudged as Miss IMA while Bhawna Jalal and Ayushi Chauhan were declared as the first and the second runner- up respectively. Gentleman Cadet ( GC), Rishabh was declared as Mister IMA by the judges. Brijesh Pal was the first runner- up while Sushant Dutta was second runner-up. The IMA Ball is held towards the end of each term to mark the culmination of the rigorous training schedule of the Passing Out Course. The event marked with fun and frolic can also be termed as the ‘Break Up Party’ for the Third Termers. The IMA Ball is also regarded as a precursor to the final event – The Passing Out Parade (POP) of the IMA, which is scheduled on December 8, 2018. An IMA communiqué said that the occasion was characterised by the display of a high sense of chivalry, courtesy, etiquette and gentlemanly conduct of the passing out course. These qualities which are imbibed and nurtured in the IMA, remain as an important part of their lives as Officers on commissioning, the communiqué added.